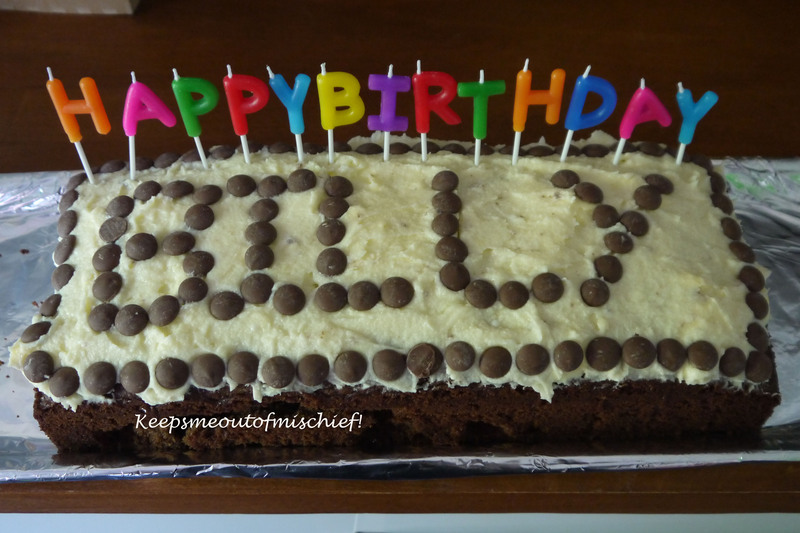 Billy’s First Birthday | Keeps Me Out Of Mischief! A beautiful bank holiday weekend was just what we needed for Billy’s first birthday. I can’t quite believe where the year has gone and I can’t believe how much he has changed – he’s gone from being a tiny little 3lb 10oz dot to a chunky 19lb bruiser! 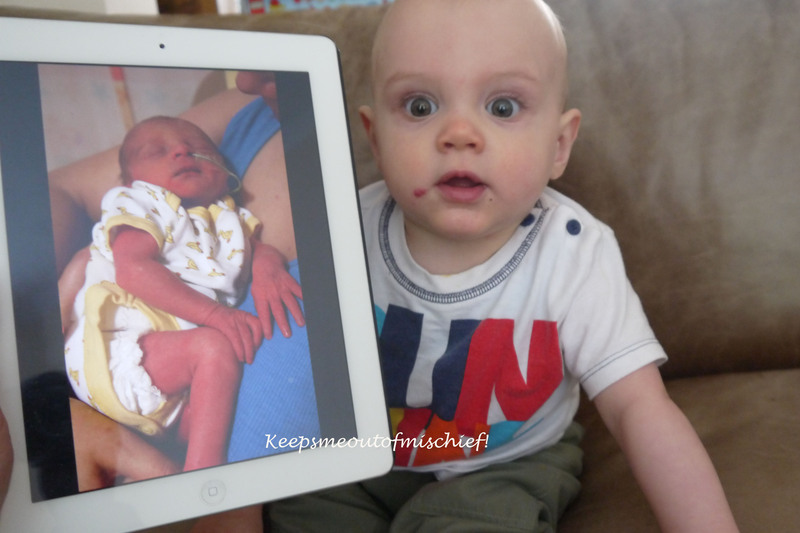 The picture on the ipad was taken when he was a day old. We invited the family round for a barbeque so I spent the entire day making preparations and getting things ready. The cake was going to be the easy part I thought. I’d bought a silicon steam train tray and was getting all excited about decorating it. I made up a massive amount of batter using my old standby cake batter and popped it in the oven – all good so far. When it was cooked properly I left it to cool on the side and then returned later to take it out of the silicon tray and start decorating. DISASTER! It wouldn’t come out. No matter how I tried to ease it out from the tray, it wasn’t having any of it and it came out in very un-train-shaped lumps. Fortunately I had time to make another so I dug out my ‘make any sized cake you want’ tin and started all over again. This time I had success but only just had enough time to let it cool and decorate it before everyone arrive. Good news though as, although all of his birthday cake was eaten at the party, we were feasting on the disaster cake for the rest of the week!